MegaPi Pro is an ATmega2560-based micro control board, and is fully compatible with Arduino programming. 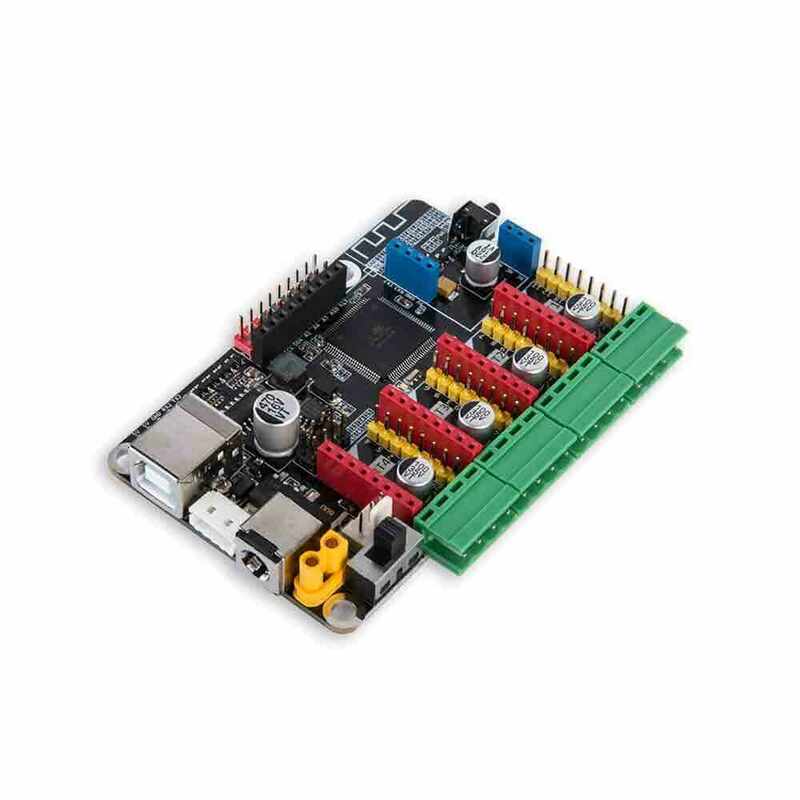 MegaPi Pro has powerful programming capabilities, and its output power is up to 120 W. MegaPi Pro has four port jacks, one 4-way DC motor expansion interface, one RJ25 expansion board interface, and one smart servo interface. Its strong expansion ability enables it to meet the requirements of education, competition, entertainment, etc. 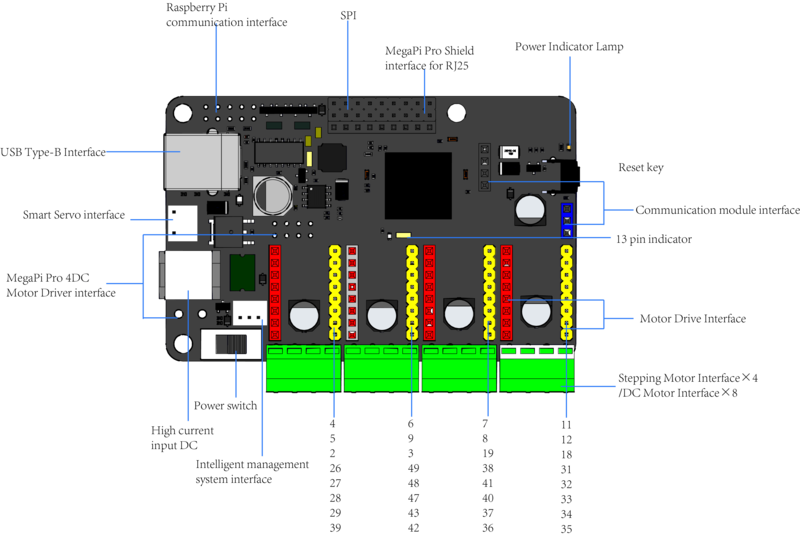 MegaPi Pro can be easily installed on the Raspberry Pi, and connected through serial ports. The motor can be quickly controlled with the Raspberry Pi together with corresponding program. Four motor driver interfaces can easily insert and take the encoder motor driver and stepper motor driver modules to drive DC motors, encoder motors, and stepper motors. One wireless communication module interface allows you to add a Bluetooth module or 2.4G module. One smart servo interface can drive up to six intelligent servos in serial simultaneously. One 4-way DC motor interface can drive four DC motors. One RJ25 expansion board interface can connect eight RJ25 interfaces. Three M4 mounting holes are consistent with those of Raspberry Pi. Use RJ25 interface to wire. Supports Arduino programming and is equipped with dedicated Makeblock library functions to simplify programming. Supports mblock (upgrade version of Scrartch) for all age groups of users.